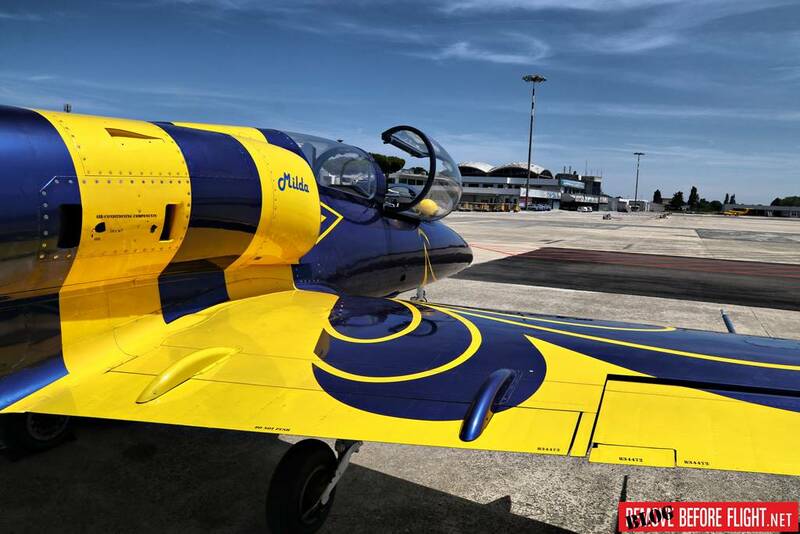 We met the Baltic Bees acrobatic team during their first appearance in Italy at the Bellaria Airshow 2018, Rimini. Alessandro Scorrano, Baltic Bees "Slot" pilot. 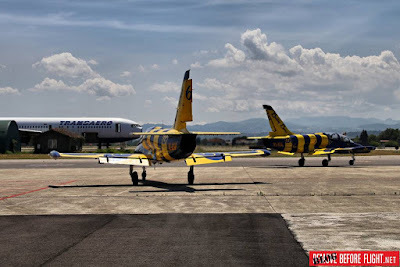 The Baltic Bees Jeat Team was deployed at the Rimini airport in early June to attend the Bellaria Airshow 2018 and offer to Italian people the opportunity to fly in a jet. We met Alessandro in a hotel lounge, he talked to us about the past and future plans of the Team. Which is the most diffucult part of your demo? 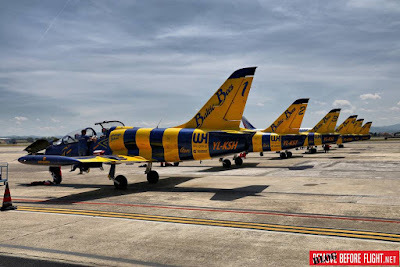 Our display is divedend into 2 parts: the first one is more "soft" because we are 6 aircraft in formation, the second one that starts after "The waterfall" figure (similar to the "Bomba" of the Frecce Tricolori) is more dynamic. About roles, the most difficult is the Leader’s one: he has to mantain a very precise position, because he’s the head of the formation and all of us follow him. If he has to correct the route, he must do it very slowly. The pilots are very concentrated during this time. I'm behind, so I can be relaxed, but not too much. We were impressed by your performance yesterday, you were very synchronized. How do you orient yourself in an unknown area? This question is for our leader! We just follow him. Usually we receive a breafing map before each airshow that we analize with Google Maps or Earth to establish our focus points. Here in Bellaria there is the river in the middle of the display line and there are buoys at the ends. The performances over the airports are easier because we have the runaway as reference and a more detailed surrounding. 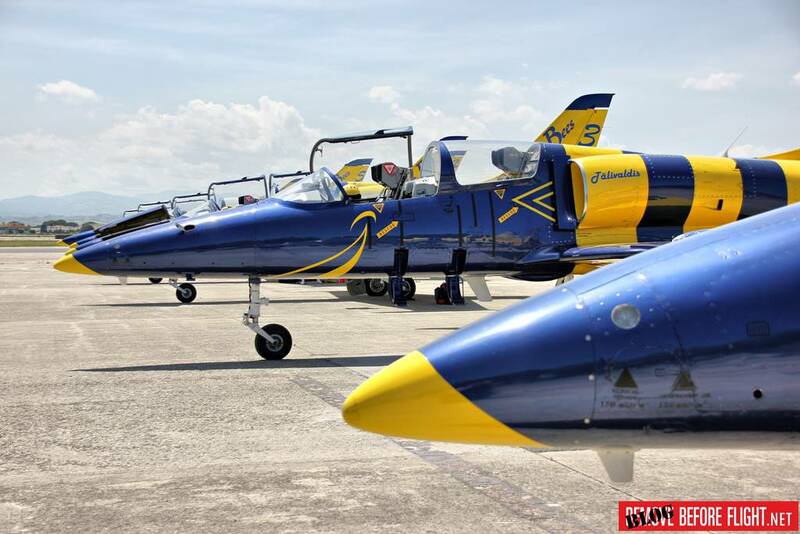 During the rehersal flight you were high and far from the display line: organization policy? No, honestly we didn’t see nothing! Every people think that a sea exibition is more easy and safe but it’s not. When the colour of the sky is the same of the sea’s, you can lost the direction very easelly. 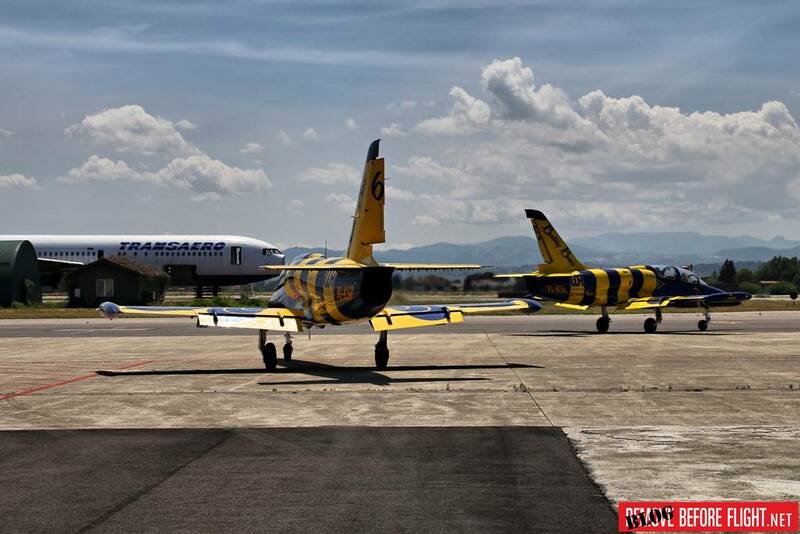 We flight with no instruments, just looking each other, we don't have a ground coordinator. The weather in Riga is very different from the Italian one. 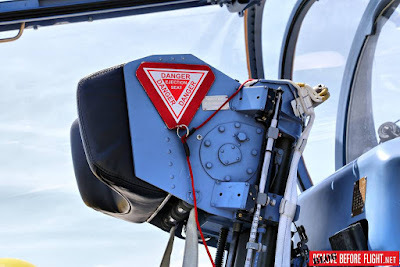 Can it affect the performance of the aircraft? Yes, temperature is so different and this influence a lot the power of the engine. Expecially the umidity and the density of the air. Hot and umid air: low power. Cold air (more dense) more power. In Latvia we have a -20°C during the winter with a very low cloud sailing that do not allow continuous training, so we stop from November till March. 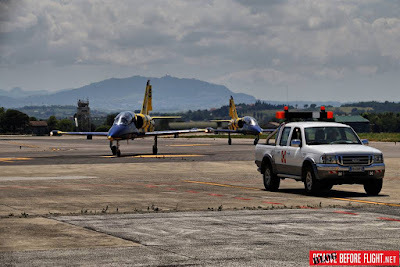 During this period the planes enter into scheduled maintenance and we return in 6 jets around April, starting with 2 planes, then 3, then 4, until to have complete formation. The L-39 is very suitable for acrobatic flight thanks to the great wing shape. 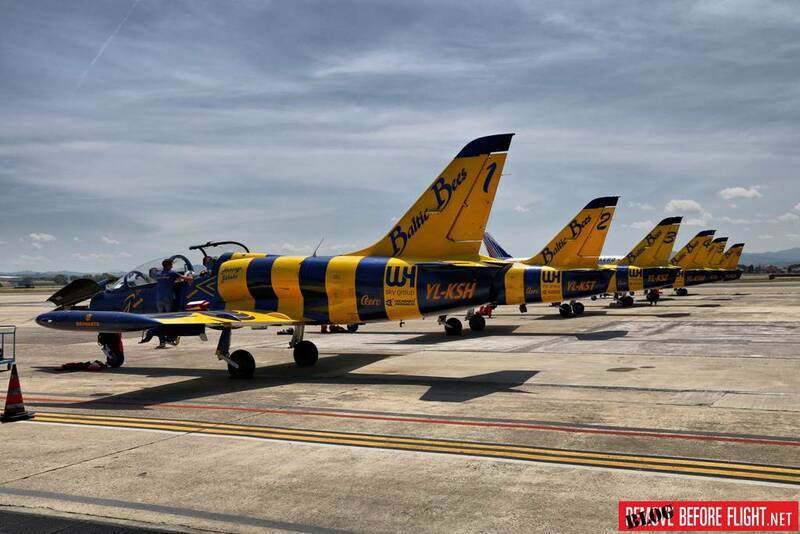 It is the most successful jet trainer in the world: the companies have built more than 3,500 units in 50 years. It also requires simple maintenance. AERO unveiled the new and advanced L-39NG. Will you switch? Should be great but now it's early to say. We'll fly the L-39NG thanks to our sponsor AERO that invited us to try it. 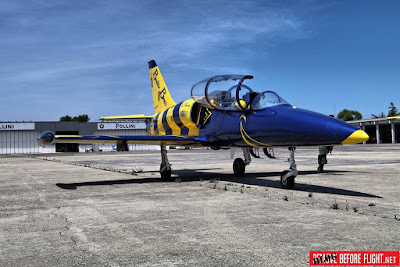 They’ll present the L-39NG during the third quarter of the 2018 in the occasion of the 50th anniversary of the first flight of L-39. 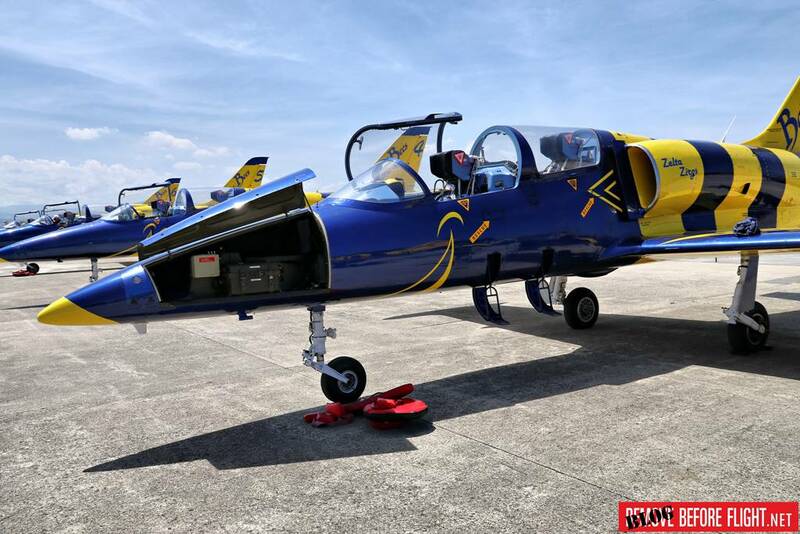 I think the L-39NG is too expensive for our team. 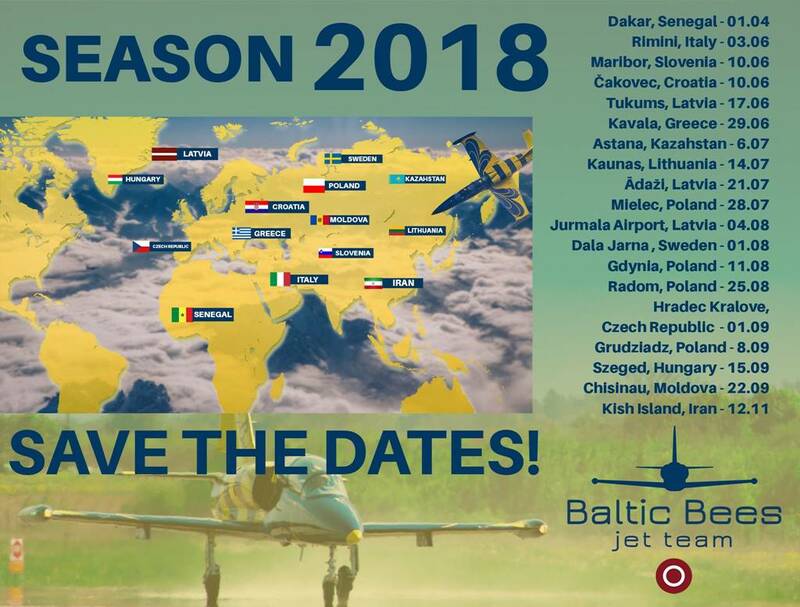 This year you have a busy schedule around Europe. Yes, our program is busy, but not still defined. Last year we had a record: 19 flying displays during airshows. We went 2 months in Cina, and this year we went in Senegal in March and we’ll go to Kazakistan in July and Iran in November. In China? Lots of stopovers! Of course! Twelve for China! This year marks your 10th anniversary: something special in program? 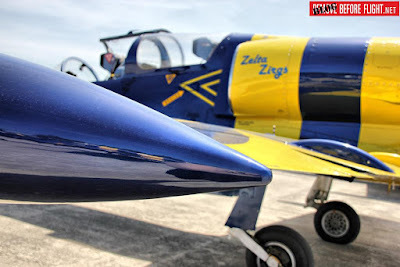 We are organizing an airshow (Aug 4-5) at our base in Jurmala (60 kms far from Riga). This is an ex Rusian military air base that our boss rebuild as private airport. We have a museum also! Why the name "Baltic Bees"? Ten years ago our boss (ex military L-39 pilot) thought about a private, family-friendly aerobatic team. No military, funny looking. The bees are the gentle animals after Russian swifts and American birds. The blue colour also want to be less aggressive than black one (and a black-yellow bee was already used as a special color L-39 jet in the Hungarian Air Force). During the years I noticed that we took the occidentalized way: we changed our equipment from russian to occidental one. The bees are just a brend now. 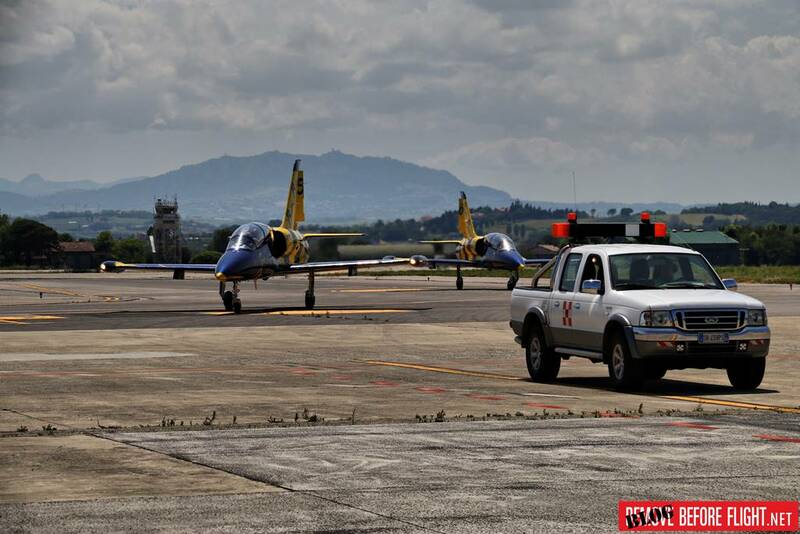 We saw your jets at the "Ample Strike" exercise two years ago, along with some Polish Su-22s. 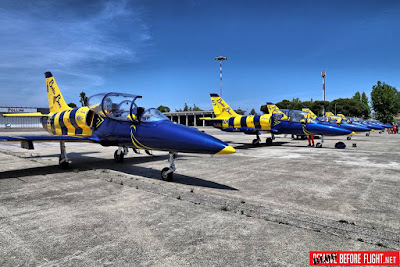 We have ten L-39 jets bees painted and three of them are leased to the Lituanian Air Force to train military controller. It's courious that a private company has ten jets and our defense has none (Baltic States are under NATO Air Policing). Regarding our cooperation with military forces, last year we performed at MAKS in Moscow as well as in other military airshows. Usually the Armed Forces asked for our exibition. Most in Eastern Europe, where budgets are higher than events in the west. Do you earn thanks to private flights? Have you ever received a proposal from a big sponsor? 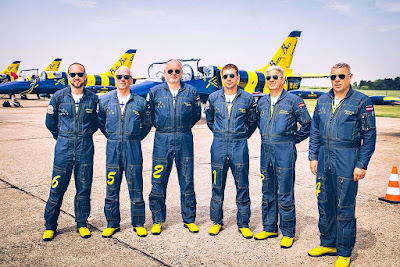 Our team cannot mantain itself with the private flights only: we have 6 pilots and 12 technicians with a monthly salary, plus the fuel, insurance and maintenance costs that count about 1 milion euro per year! Regarding the main sponsor, I don't know if we received proposals, but the tendency is to avoid it. For example, the Breitling Jet Team received a lot of money during first years, but then decreased... In this case the team is completely dependent on the sponsor. I think our company intends to lead the team independently. Why to change something that works well from ten years? 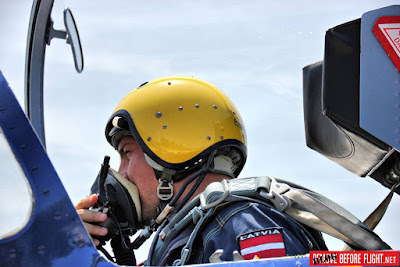 And I have to tell you a news: we are working to perform with 7 aircraft during the airshow in Jurmala. 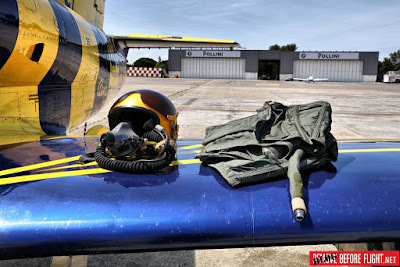 I went there in 2011 after a refuse of the Italian Air Force. While the most of people flew to America or Spain, I wanted to get my PPL (Private Pilot Licence) in an unknown place like Latvia. There I met the leader of the Baltic Bees, he asked me to be their speaker during their exibition in Sweden. It was a dream became true! 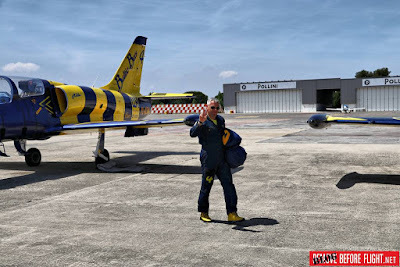 In 2016 the owner of the Bees asked me to flight one of their private jet, but in the same period the pilot nr.6 of the team quit and they asked to me to try to fly the jet. What? 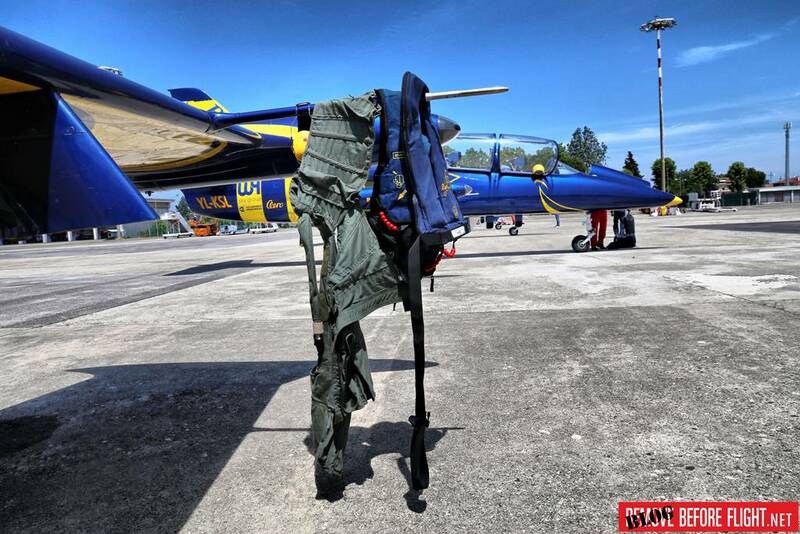 I didn’t do that… I had no experience, overall in the acrobatic flight! But I tried and in february 2017 I started my training with Breitling (we cooperate with them). 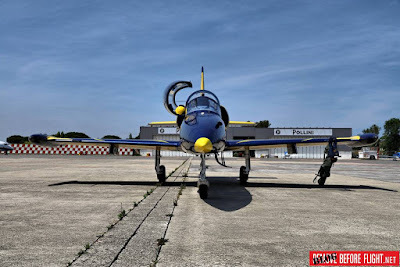 After only 2 months I flew with our nr.5 solo pilot (one of the best L-39 pilot worldwide) I was ready and on May 20, 2017 we flew in 6 planes formation. 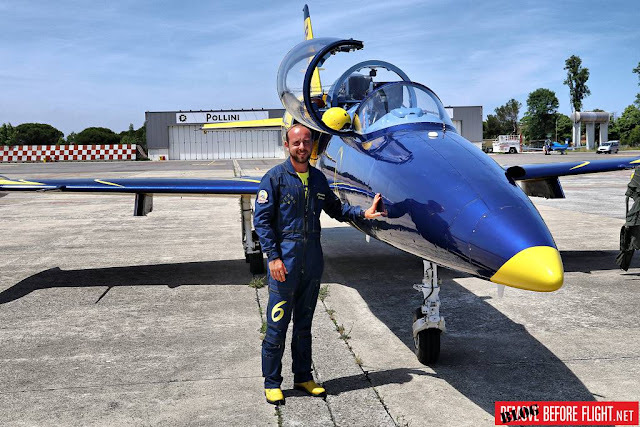 How became a Baltic Bees pilot? Latvia has no military aeronautics, is protected by its Allies. That’s why we have to find pilots out of our State. 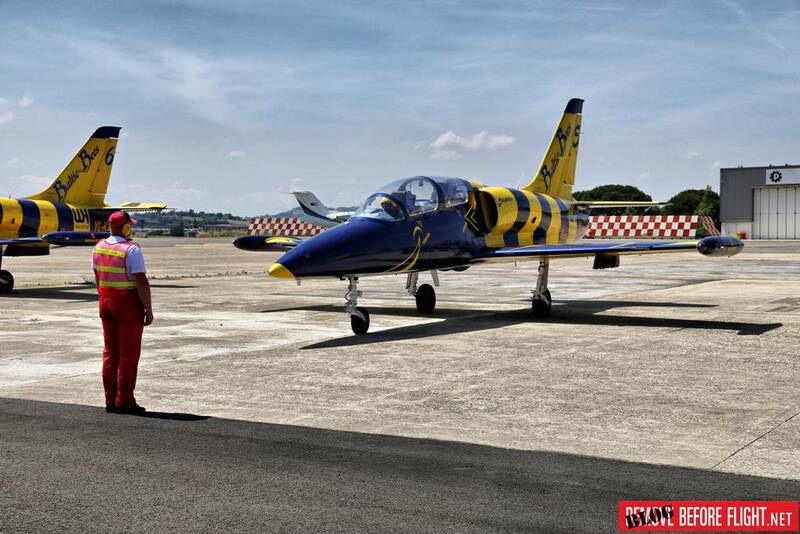 Our boss proposal is to grow up young pilots, because the high costs of the training. 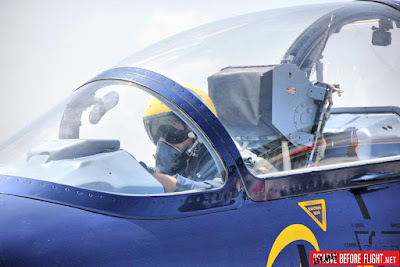 Is not simple to tolerate a -4G or +8G maneuvers for a 50-year-old man. The leader and me are the youngest, but other pilots are about 50. 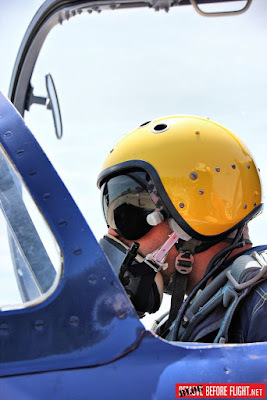 Our solo pilot is 56... and still offers high performance! He's amazing! 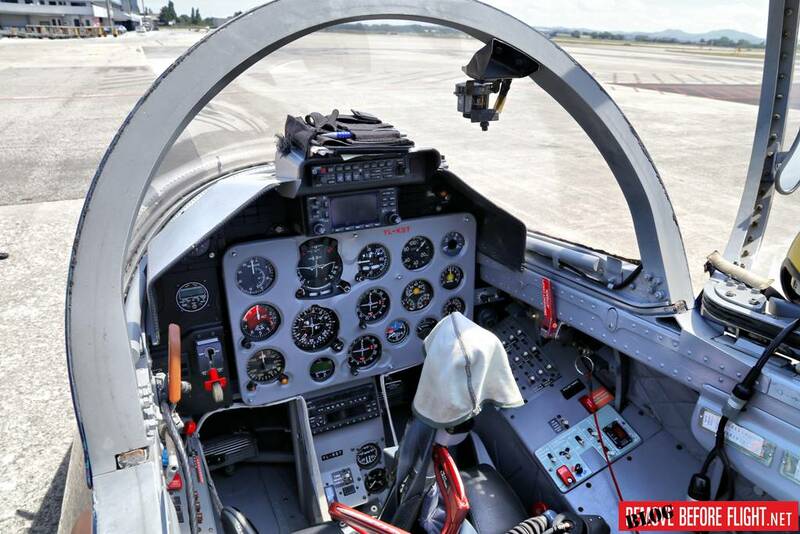 Are you looking for new pilots? 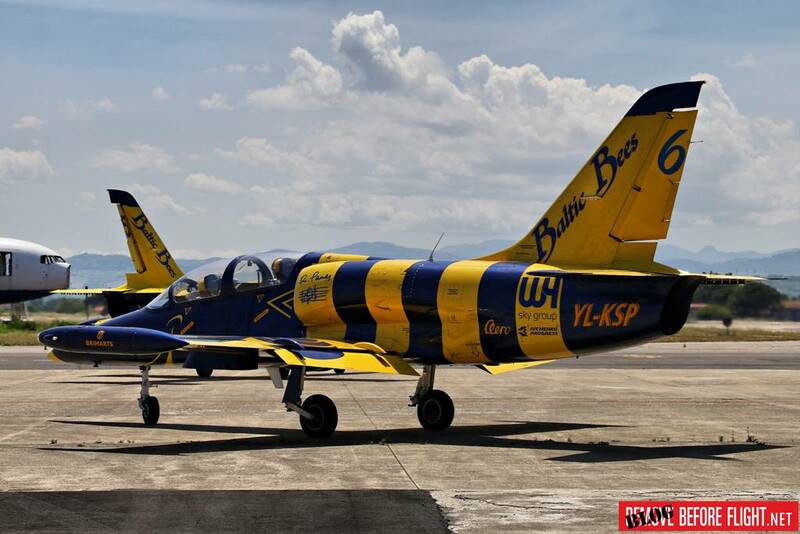 We have already selected the 7th pilot for the new Bee, but due to technical problems with the jet, we are now in stand-by. If in the August airshow we will have the 7th jet available, the previous pilot nr. 6 offered to fly it. How many "G" and max speed you reach during your demo? 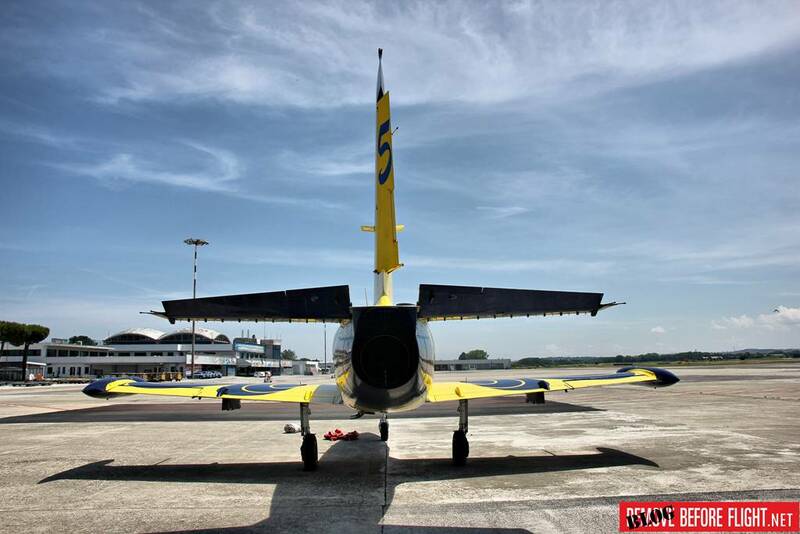 The aircraft maximum speed is about 900km/h, but we reach "just" 750. The solo pilot fly the aircraft at the maximum level of charge, so +8G during the turns and -4G in the negative climb. When we fly in formation we reach 5G, maximum 5,5G (after 3 months of stop we suffer them!). 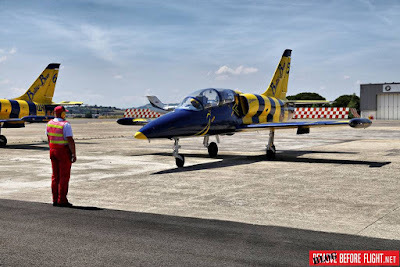 Fly a jet: a dream became true. What is the target of the people that want to fly? Well, we have done a survey about it. 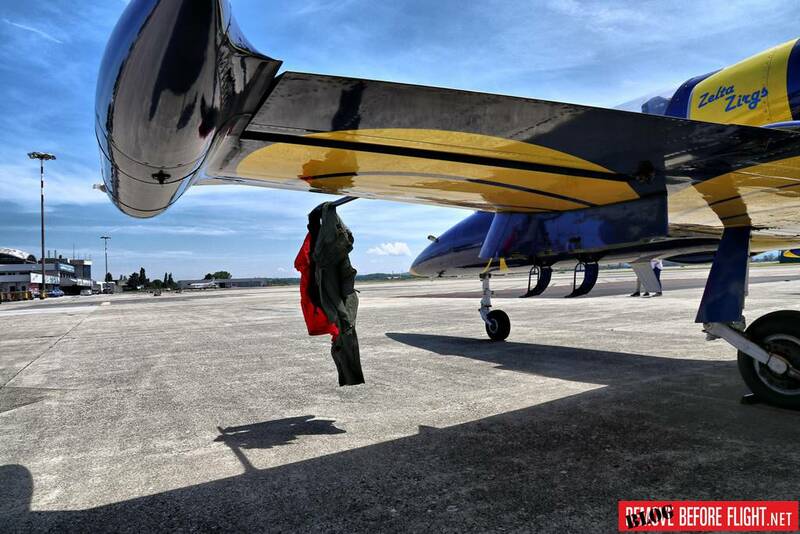 We realize that no much pilots want to fly, just normal people with a dream that starts and ends that day. 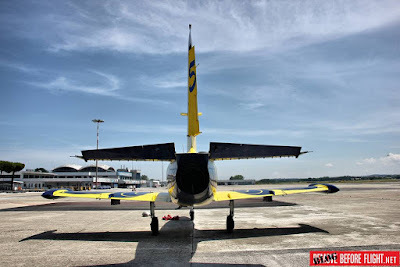 We offer the unique experience of flying up to 6 jets in formation and it is nice to see how people are surprised when they know that we fly without instruments, just with the flight techniques we have learned. 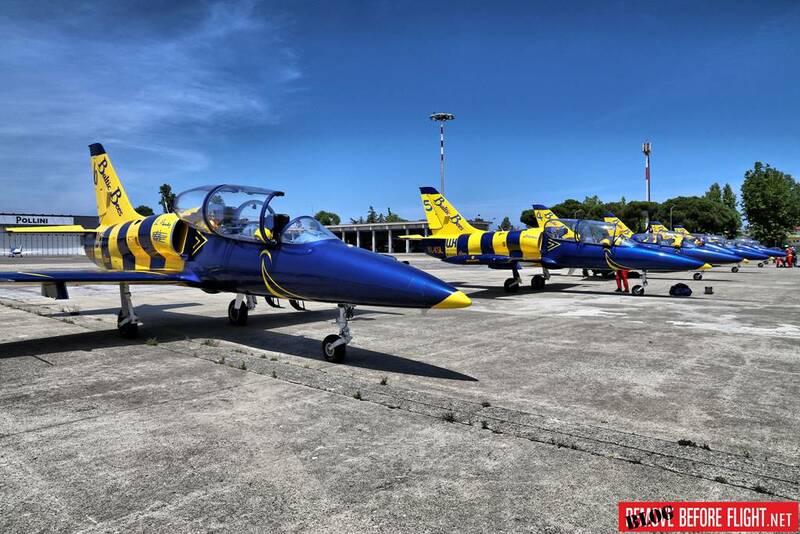 People decide to fly with the Baltic Bees not just to fly L-39, but to fly the L-39 in formation. 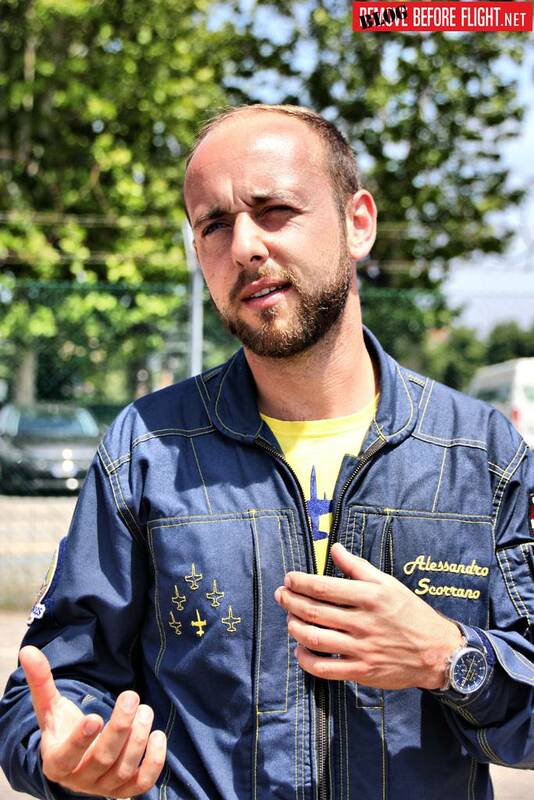 Thank you very much Alessandro! 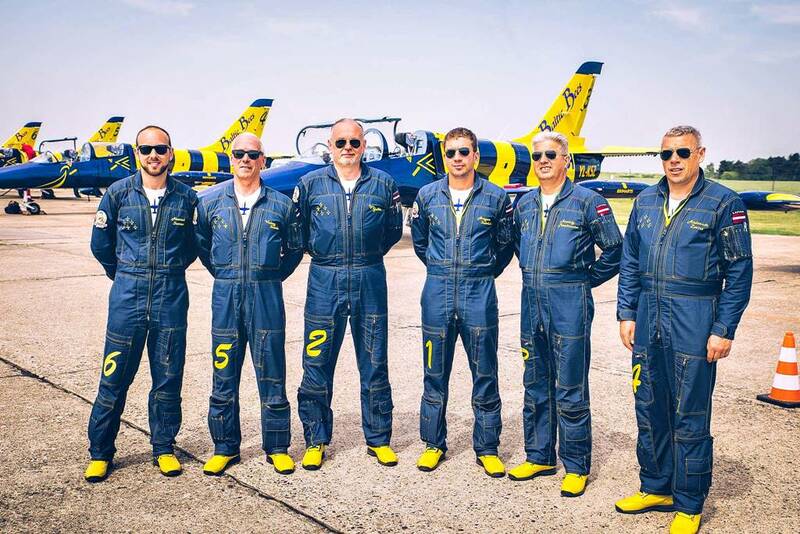 The Baltic Bees Jet Team is composed of Artyom “Maverick” Soloduha (Team Leader), Igor “Major” Yudkin (Left Wing), Anatoly “Maestro” Perekriostov (Right Wing), Aleksandr “Smoked” Zarins (Left Outside Wing), Valery “Godgather” Sobolev (Right Outside Wing and Solo) and Alessadro “Giovane” Scorrano (Slot).